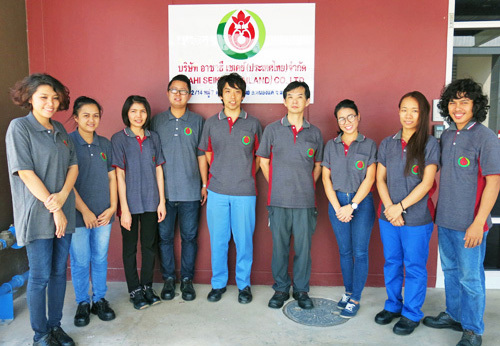 Company Profile | Mold & Die - ASAHI SEIKEI (THAILAND) CO.,LTD. Back to Fact-Link's Top Page > Mold & Die Design / Manufacturing > ASAHI SEIKEI (THAILAND) CO.,LTD. With the opening of ASEAN Economic Community (AEC) in the end of 2015, Thailand is playing a very important role in AEC as the country has already had good infrastructure, resources and suitable environment & location for investment. In response to the need of our customers who will use Thailand as a center of business expansion in oversea market, Asahi Seikei Co., Ltd. has opened a new factory at Saraburi. Our factory is located on a highland area in Saraburi Province, 70km to the northeast of Bangkok and 20km to the east of Ayuthaya, hence, there’s no worry about the flood crisis. The company is aim to provide a total-service from new-mold & additional mold production to mold maintenance service. We hope that you will continue to use our service in the future.